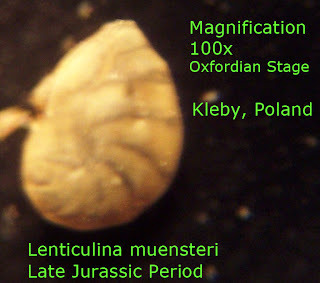 Image of foraminifera Lenticulina muensteri found in Kelby, Poland. It existed in the Oxfordian Stage (161-155 million years ago) in the Jurassic Period. Magnified 100 times with microscope. Thanks to Michael Hesemann for the specimen. 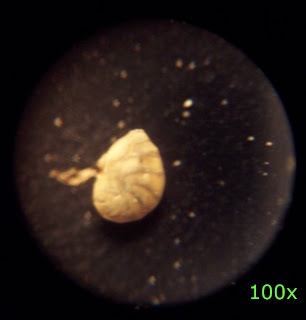 Learn more about foraminifera from this area at this web page.